I've always had a fascination with Boots - for those Australian and non-UK readers, we're talking about a store in the UK here - not the shoes! I've always pictured it like a way more awesome Priceline, and whenever I think about going to the UK I just think about all the amazing deals they always seem to have! I was surprised when I heard that Boots were bringing some of their home grown products down under! We're talking the Serum 7 Anti Aging range! I'd never even heard of this range before, so I have no idea if it's already a range available in the UK or if it's something designed especially for us Aussies, but either way I was excited! 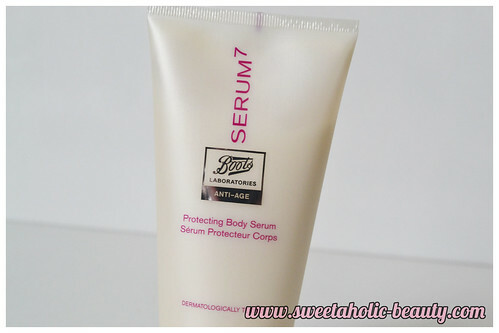 The Protecting Body Serum was ultra lightweight and so lovely that I have been using it as often as I can remember to. 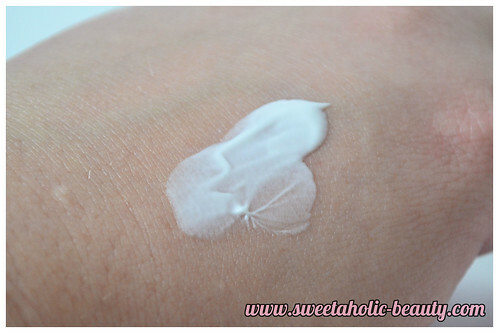 This absorbs really quickly into my skin, making it easy to slap on before getting dressed. The scent is really, really subtle to the point where it hardly smells like anything at all - another plus if you're using it right before going out, as it won't clash with your perfume. I have noticed that since using it my decolletage is much smoother and less blotchy. 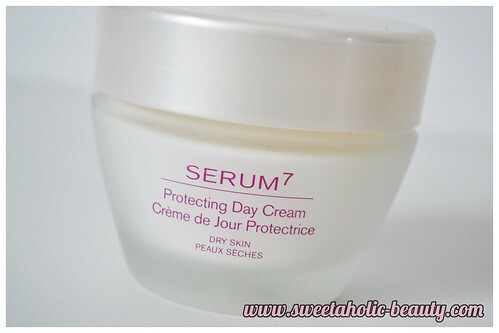 The Protecting Day Cream was probably my favourite product from the three. I like to think I have oily/combination skin, but come the colder weather, my skin does go a bit dry. This day cream is particularly for dry skin, which at first worried me. I thought this might be too oily for my skin, especially for day time use, but I was pleasantly surprised that this kept my skin in check and I didn't have any extra oil production! This also didn't make me break out, which is definitely a plus. 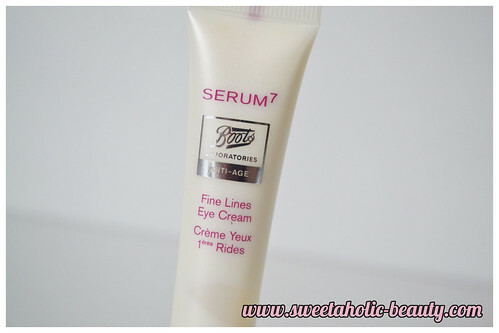 The Fine Lines Eye Cream was probably the one I had the most trouble with. My eye area is extremely delicate, meaning it likes to break out - a lot. Yes, I know, it seems so weird to get gross black heads around my eyes, but it happens. Unfortunately after using this one, it helped increase my blackhead production and far too many pimples and blackheads popped up whilst using this. After time, this has definitely slowed down as my skin is beginning to get used to it, but I'll probably opt not to use this in warmer weather and stick with it in winter due to the creaminess. Overall I was pretty happy with this new collection. Two out of three of the products were a winner for me and are products I would definitely consider repurchasing. They are all great for winter, so perfect timing to start using them! 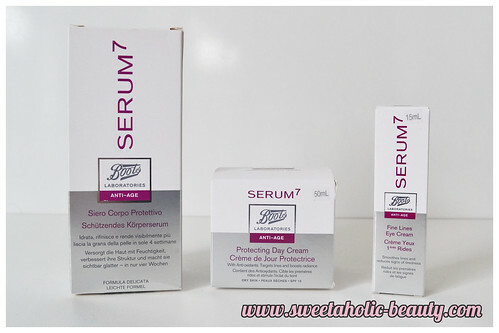 Have you tried the Boots Serum 7 Anti Age Range yet? If so, what are your thoughts? Are you excited to see some Boots ranges hit Australia? 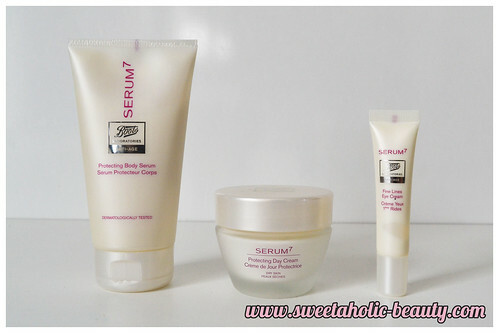 I have only tried the Eye Cream from this range and I am liking it so far. I used to use Indeed's Eyeslix but that used to make my eyes water after application. Luckily for me this one doesn't do that. I am not sure if it has reduced any fines lines yet though.